Some designers blend in with the styles of others, and some develop their own unique approach and image that stands out even among the thousands of designers living in the world. 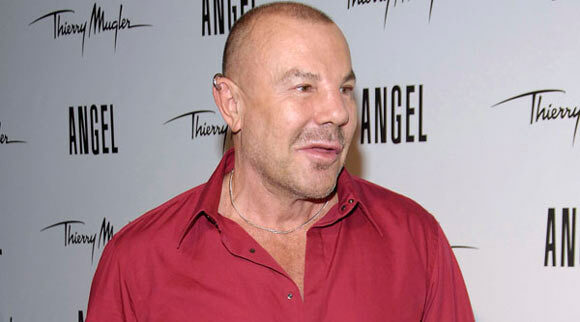 Thierry Mugler is a fashion designer and perfumer from France. He was born in 1948 in Strasbourg. Since he was a young boy, Mugler was passionate about design, art and fashion. This is why he spent more time in drawing various ideas than on his formal education in school. When he was nine, Mugler started learning classical dance. By fourteen, he began his training in ballet corps for Rhin Opera. Around the same time, he studied interior design at Strasbourg School of Decorative Art. As he turned 24, Mugler shifted to Paris and started designing apparel for Gudule, a Parisian store. Two years later, he began designing for a range of prêt-a-porter fashion stores in different parts of the world. At first he only designed for women but as of 1978, he focused on menswear as well. Two years earlier, an influential editor in the fashion industry, Melka Tréanton assisted him in launching his career. She made him exhibit his work in an event by Shiseido in Japan. During the 80s and 90s, Mugler turned out to be a renowned designer internationally and his work garnered a great deal of commercial triumph. Apart from designing, he has also published books, such as Thierry Mugler: Photographe, 1998; and Thierry Mugler: Fashion Fetish Fantasy, 1999. In addition to print media, he is involved in short videos and films as well. Mugler recurrently creates costumes for concerts, theatre, opera and musical comedies. He has collaborated with artists like George Michael, and Robert Altman; and entertainment companies, including Cirque de Soleil to direct a scene from Zumanity. Almost all designers engage in designing and inventing perfumes with fragrances and their bottles to their likes, style and image. Mugler also introduced his perfumes, such as Angel in 1992; Angel Men in 1996; Alien in 2005; Mirror, Mirror in 2007; and Womanity in 2010. Additionally, his company launched a range of exclusive cosmetics, Thierry Mugler Beauty. Focusing on his family, his mother was the most elegant woman in their town, according to Mugler; and his father was a doctor by profession. Mugler’s childhood was spent in making costumes, writing dramas, watching films in the cinema and detesting school. Mugler took a break from fashion but continued with his bodybuilding. In 2013, he did a show called Mugler Follies in Théâtre Comédia. The entertainment included models, acrobats, singers, dancers. There was eroticism, technology, lights and fantasy filled in the venue. Guest were served with champagne and dinner – a lavish comeback. Mugler has no doubt re-invented himself as Manfred. Celebrities who wear the Thierry Mugler brand, include Lindsay Lohan, Beyonce Knowles, Courtney Cox, Kim Kardashian, Eva Mendes, Nicole Richie, Kate Upton, Kim Cattrall, Gwen Stafeni, Alessandra, Dita Von Teese, Jessica Biel, Gwyneth Paltrow, Katy Perry, Kristen Dunst, Naomi Watts, Lara Stone, Leighton Meester, Abbey Clancy and quite a few others. Mugler was included in the top seventy-five companies of France, when he was officially invited by the French Couture Syndicale to present his couture line. These high-end brands share the commitment and passion for creativity, luxury and excellence in the creation and production of each of their merchandizes. Being among the high-ranked fashion designers of France is most certainly an honor since the country is known for its style and trends around the world.